Best friends since childhood, Jen, Chelsea and Kyra know everything about each other. Or think they do. Jen should be celebrating her whopping 121-pound weight loss. Instead she feels like she’s betrayed fat girls everywhere. Will anyone love her for who she is inside, fat or thin? More importantly, will she? 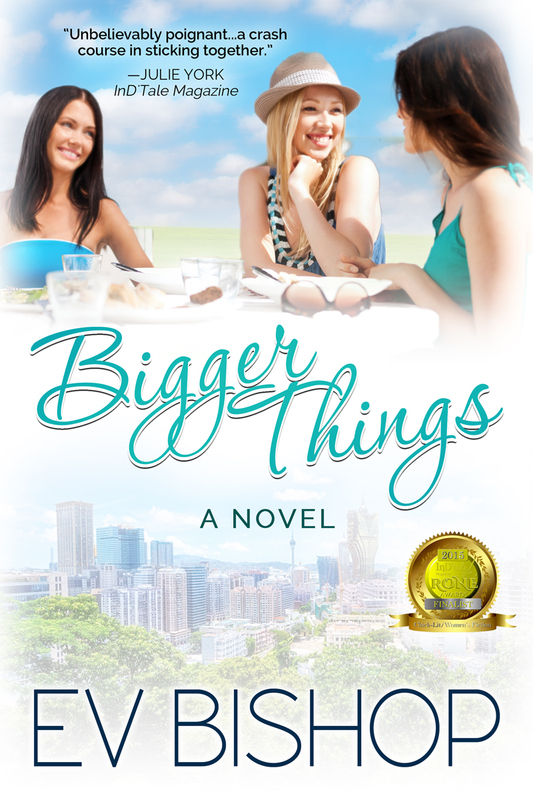 Chelsea appears to have it all—a husband, a family, a beautiful home—but plaguing memories threaten to destroy everything. 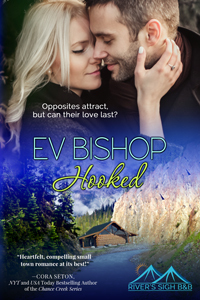 In her desperation to maintain control, will she succumb to a compulsion that costs her life? Kyra is sick of the superficial persona she’s worn for so long. It’s exhausting to pretend to be an airhead while running a successful business. But if she sheds her life-of-the-party façade, will she ever find the boyfriend she thinks she needs? When a nervous breakdown leaves one of them fighting to survive, all their secrets are laid bare. To stay friends, they need to battle personal dragons, confront the past, and embrace change. But can they break free from the roles they’ve played so long? Or must they leave one another behind in order to move forward? 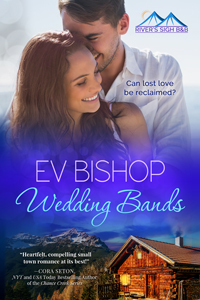 Each novel set in wild, remote, beautiful Greenridge (a fictionalized version of Ev’s hometown) completely stands on its own, so jump in with Book 1, Wedding Bands, or with whichever one most catches your fancy at the moment! Don’t have an eReader and/or prefer print books? All my book are available in paperback at various online vendors and can (usually) be ordered at your favorite brick and mortar bookstore. Even more fun: contact me directly to arrange the purchase of a signed copy. Thank you so much for reading and if you enjoy my stories, please spread the word.